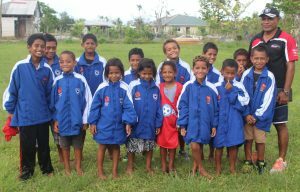 This groundbreaking squad will be made up of young budding footballers from around the kingdom, who will be enrolled in TFA’s intensive five years talented players development program, training towards Oceania’s U-17 tournaments in 2017. The academy squad will be made up of 120 young footballers and will be filtered over time in order to identify the best players to represent Tonga. 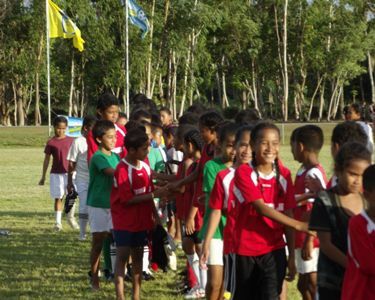 Although Tonga has been involved in regional tournaments in previous years, a total commitment to players’ development was somewhat missing and is reflected in previous overall tournament results. However, this is soon to be changed according to TFA’s Head, Lui Aho, who is a former national player himself. “I understand that success cant be achieved overnight therefore we have made a long term commitment to put Tonga back on the football map and I am determined to see results as we nurture these young talents” the General Secretary says. “This National U-12 Tournament will be an annual event during Christmas school holidays, being feed from the Australian government funded grassroots programme, Just Play, which has been introduced to communities and primary schools” Aho says. These squad members will be trained in their respective districts and will have quarterly tournaments during school breaks. Meanwhile the selection of Tongatapu squad members will be finalized after the New Year.